With the Qualcomm Smart Headset reference design and development kit, based on the Qualcomm Smart Headset Platform, manufacturers looking for a competitive edge in wearables/hearables can now evaluate Amazon AVS on-the-go. This Bluetooth-connected headset features one-touch interaction with AVS through the user’s mobile device. With the products you create based on the Smart Headset reference design, your users can interact with Amazon AVS through their Android smartphones and tablets running the Amazon Alexa application. Over the same voice interface, they can access Amazon AVS skills including calendar management, smart home control, streaming music, weather updates and access to Amazon. Based on Qualcomm Technologies’ Bluetooth Audio SoC QCC5124, the reference design offers ultra-low power consumption to help extend playback time and battery life. 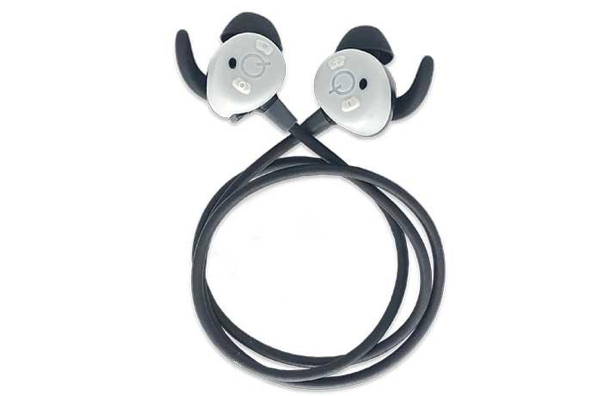 Qualcomm® cVc™ noise reduction technology supports active noise cancellation and superior audio quality during calls. Qualcomm® aptX™ HD, designed for high-resolution wireless audio, can also be added. Following evaluation via this reference design, you can then step up to the full development environment with the Qualcomm Smart Audio Headset Development Kit. This is designed to provide the hardware and software components needed to help overcome common and significant design challenges for small-form factor, low-power smart headsets and to commercialize products quickly and more cost-effectively. The purchase of an open board development kit is recommended, but not essential. 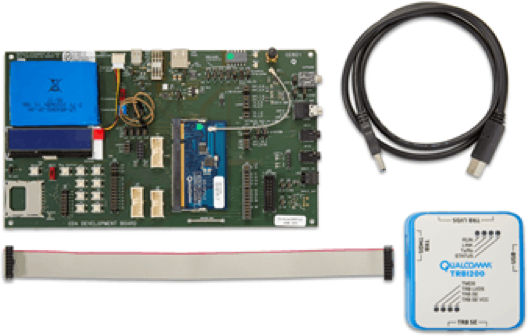 Programming the open board development kit requires use of a Transaction Bridge which is not included in the Qualcomm® Open Board Development Kit, but can be purchased through Digi-Key. The Smart Headset offers voice interaction and hands-free control of Amazon AVS to users on the go. It is also the first to support Alexa Mobile Accessory Kit (AMA), a protocol that runs over Bluetooth that allows users to easily connect their Bluetooth wireless technology audio devices with Alexa, using the Alexa Mobile App on Android. Amazon AVS does the heavy lifting of natural language processing and AMA takes care of getting voice commands from the headset through the mobile phone to Alexa.